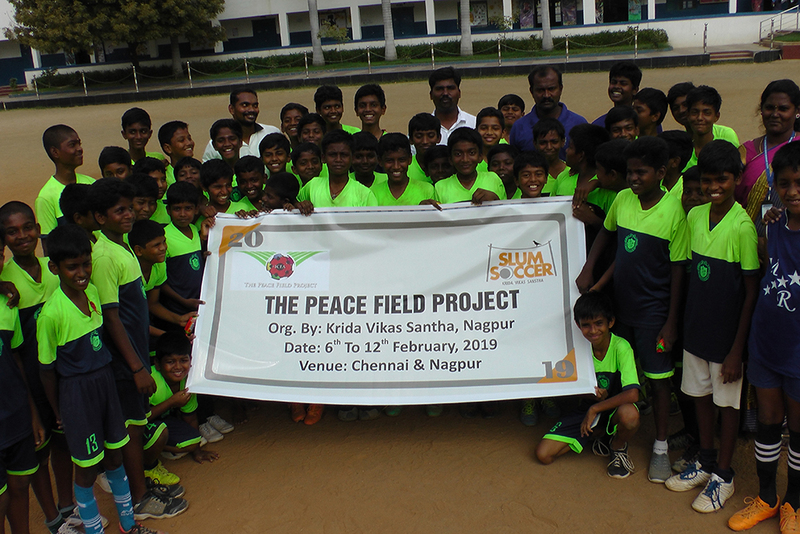 Young soccer players with their coaches proudly celebrating their Peace Pitch. Watch Out for the FILM in the coming weeks. 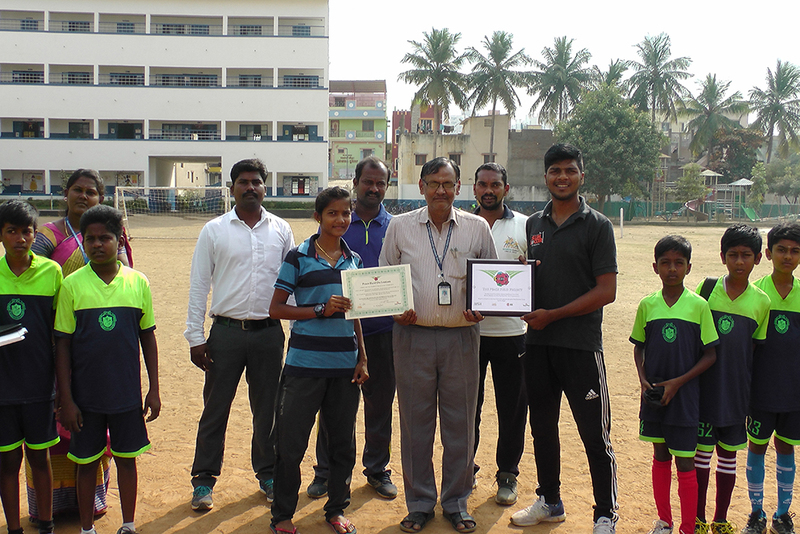 Vijaya Selvaraj, Slum Soccer Coach, Principal of M.R. Matricultution H.R. Sec School, Chennai and Anikesh Tandekar, Slum Soccer Coach.